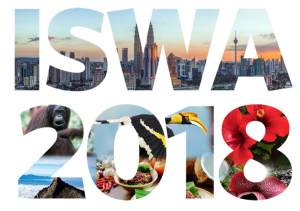 From 2013, website be Waste Wise each year organizes the Global Dialogue on Waste, a series of webinars about all aspects of waste management, both national (US) and international, especially the UK and Europe. The 2018 series consisted from two parts: New Systems for North America (04-09-18) and Learning Across The Atlantic (05-09-18). The second series started with Ranjith Annepu (RA), talking with Ad Lansink (AL) about some issues of his book Challenging Changes. 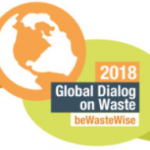 Did you miss the live event for Learning Across The Atlantic | 2018 Global Dialogue on Waste? 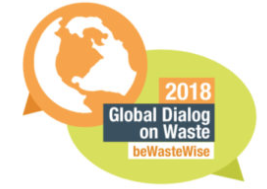 You can watch the replay here: https://wastewise.be/webinars/learning-across-the-atlantic-2018-global-dialogue-on-waste/. (RA) Why did you write the book? Doesn’t Circular Economy cover the waste hierarchy? How will new systems for will look like? Given that most recycling happens due to public pressure, do you think this will continue? Who are some new actors or stakeholders that will influence this trend positively? In Europe, legislation has a large influence despite the historical and economical differences between West- and East Europe. The European Waste Directives (and also other directives) play an important role. Keywords for circular economic development will be prevention, design for recycling, high recycling rates, specific level of energy recovery, future ban on landfilling. Public awareness about environmental problems is lower than one or two decades ago. So public pressure seems to decrease, especially when results remain invisible. 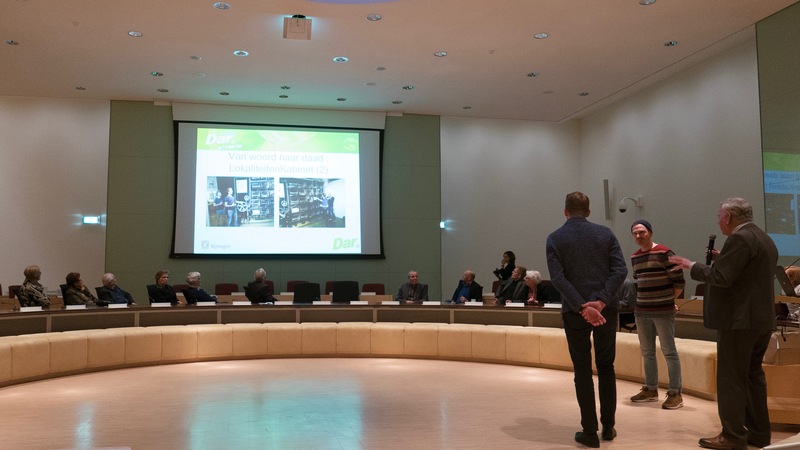 In the Netherlands: differences between the waste collection systems of local authorities cause uncertainty among the public. New actors and stakeholders are found among active enterprises, small companies and well known industrial conglomerates such as Unilever and DSM. Furthermore, initiatives from so called breed places have to be mentioned. What do you think about the pace of systems change? Is it different from movements in the past? How is it different? The pace will not be very fast. Looking for my proposal for the preference order in 1979, the year of legislation (1993), the European Waste Directives (2008, 2018), it’s clear that the transitions take much time. The same will be true for the transition to CE, despite of optimistic target dates (2030, 2050). The transition to circular economy differs greatly from a relative simple waste policy. New resource management requires more knowledge, new technics and cooperation between more parties with their own capabilities and interest. Moreover, the transition from local and regional to international and global field of interest (or markets) requires another scale of thinking and working. That’s also the reason why I paid much attention to the so called circular dilemmas e.g. governmental control or producer responsibility and taxes against free market; and the so called circular leakages – technical, financial and other losses of material. What does this difference mean to new systems? In your book, you mention that a Circular Economy is possible but if it only creates that value. Does that mean GDP value? GDP – Gross Domestic Product – is an important indicator. GDP’s are commonly used to determine the economic performance of a whole country or region, and to make international comparisons. But in the transition to circular economy also other values have to be mentioned: social values as employment opportunities, health, safety and welfare; and of course environmental values such as biodiversity and sustainability. It’s still a problem to compare financial and other values. But qualitative indicators may help in comparing these different values. In your book, you say that the ongoing global dialogue on circular economy and waste creates expectations that are high or not achievable. Can you give us some examples? The first example refers to my early discussions with Michael Braungart, the cofounder of the Cradle to Cradle-concept: All waste is food. Using my philosophy. he said, human consumption may be unlimited. I asked him: what about energy, the energy content of materials and products, and what about the increasing population? Why no prevention. He answered: All energy will become renewable, and prevention is something for quilty people. A real example concerns paper fibers, which can be uses 6 – 10 times before they are useless for their original function. The same is true for other materials such as plastics, which may be used after down cycling for other functions. We don’t have enough information about the secondary resource materials from batteries. Furthermore, getting mono streams from complicated products such as print plates is a difficult job. Also, how do natural laws fit in to understanding which expectations are high or not achievable? Sometimes the impression that science and technology can break all boundaries, including those of nature, more and more increases. However, the transition to circular economy takes time and perseverance, and requires knowledge of the laws of thermodynamics. Closing cycles costs a lot of energy, proportional to the quantity of matter in the chain. The assumption that economy can continue to grow, independent of production and consumption volumes, is wrong. The paradigm of a never ending turnover as pointed out in the Cradle to Cradle concept, ignores the value of natural laws. Closing cycles is a necessary condition for sustainability, but not sufficient for achieving real circularity. Limiting volumes of production and consumption is difficult but also necessary. 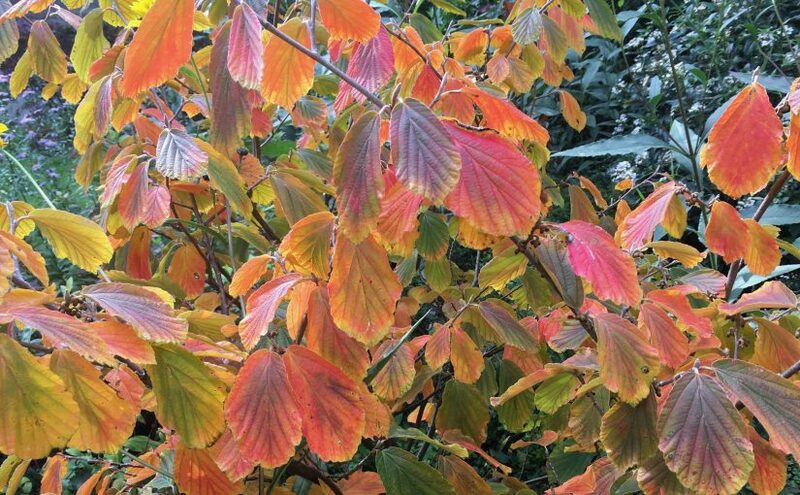 Recognizing the values of natural laws also implies that green growth remains an even wishful as paradoxical notion. Can you talk to us a little about various implementation velocities and measures? Do you think everyone in the world is expected to do just one thing? In Europe, the large differences between the Member States regarding their waste policy and resource management systems, resulting in recycling figures between 38% (Poland) and 78% (Belgium), require authorization of two or even more implementation velocities. The same is true for measures. Sharing knowledge and technologies may reduce the deficit for countries with relatively low figures. Aiming at the gradual transition to circular economy, a temporary derogation from the European regulation should be allowed. This allowance should be limited in time – for instance 5 or 10 years – and have substantive conditions regarding the recycling and/or incineration processes. The world population will grow from 7 milliard people in 2011 to about 9 milliards in 2050, half of them living in Asia, with lower welfare. That’s one reason for the acceptance of different velocities. Globalization of waste and material management still demand more variation of velocities, especially in less developed countries. Otherwise: the relation with climate policy requires also attention. 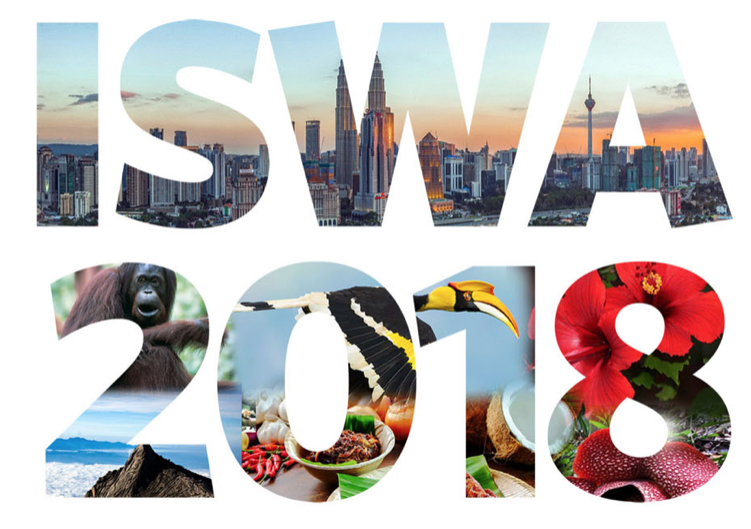 Ad Lansink received recently two honorable invitations for visits and presentations outside the Netherlands, respectively from IMWSA (South Africa) and from ISWA, in relation to the ISWA World Congress 2018 at Kuala Lumpur. In both cases, his recent book Challenging Changes – Connecting Waste Hierarchy and Circular Economy was the actual reason for the invitation. The Institute of Waste Management of Southern Africa invited Ad Lansink taking part on the 24th WasteCon™ Flagship Conference and Exhibition on 15-19 October 2018. 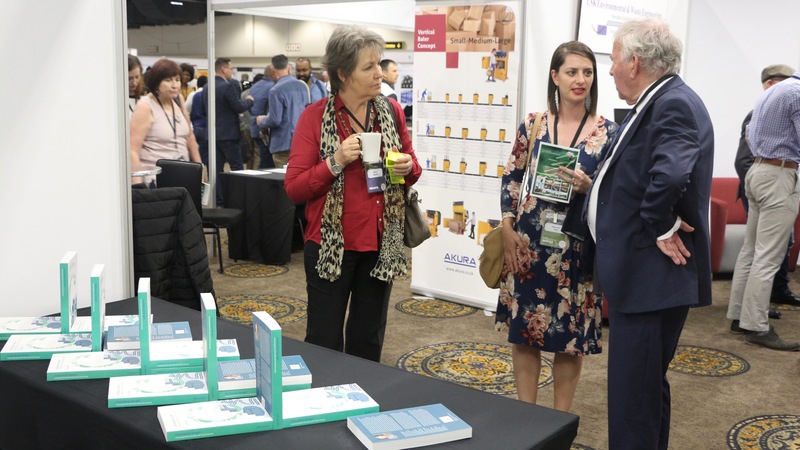 The theme of the conference was ‘Implementing the Waste Hierarchy.’ This showcase of best practice African waste management solutions was held at Emperor’s Palace in Johannesburg. Waste management in South Africa is guided by the internationally accepted waste management hierarchy, which is implemented through the National Environmental Management Waste Act (2008). During the plenary session on 16 October 2018, Ad Lansink held the keynote address about the strong relation between the waste hierarchy and circular economy. The waste hierarchy extracts the maximum practical benefits from products and generates the minimum amount of waste. Proper application of the waste hierarchy has several benefits, helping prevent emissions of greenhouse gases, reducing pollutants, saving energy, conserving resources, creating jobs and stimulating development of green technologies. During the conference and the exhibition, Ad Lansink spoke with several delegates, also from Nigeria and Namibia. Some delegates asked for signed copies of Challenging Changes. The high interest for Ad Lansink’s ideas also appeared during two workshops, on the second day of the conference. 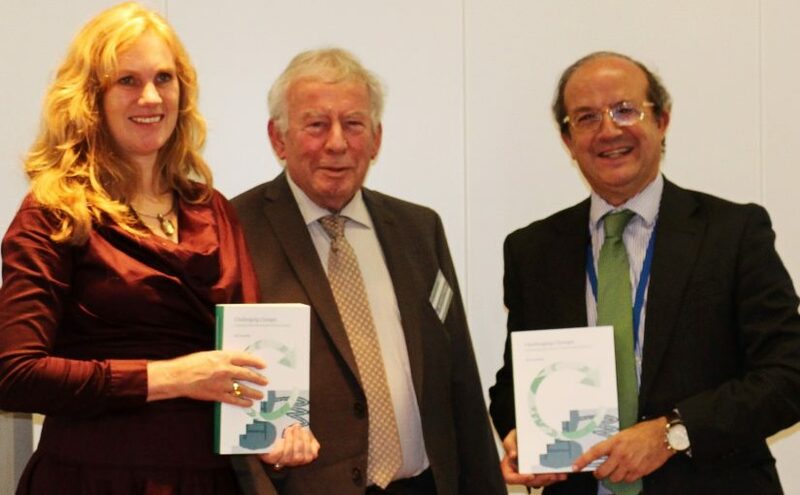 ‘A very comprehensive review of waste management as a whole through the eyes of the circular economy and waste hierarchy. Excellent publication’. More presentations soon will become available in the form of pdf-documents, which may be downloaded without any costs. 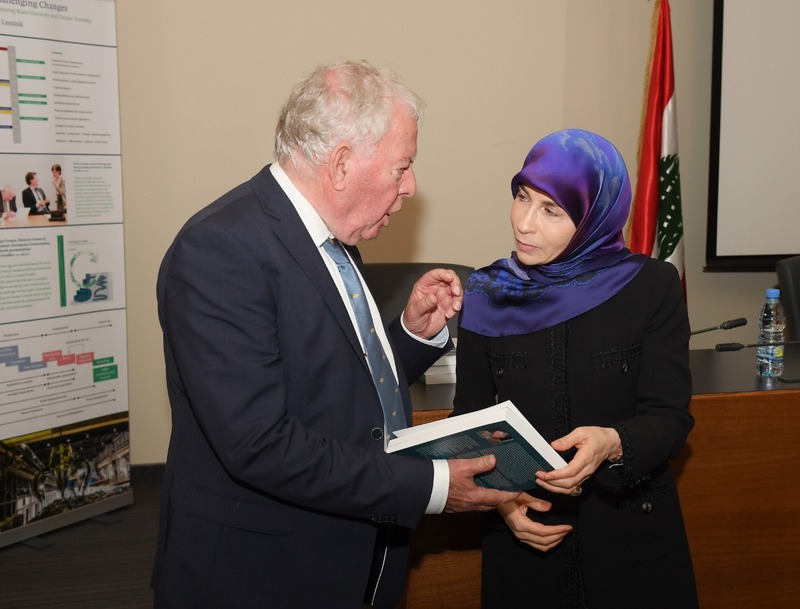 Beirut (Libanon) – 27 September 2018 – Workshop of the Lebanese Government about the new Waste Law, organized by OMSAR at the Parliament, with special attention for the waste hierarchy as essential framework for legislation. One of the main questions: are the leading principles of waste policy applicable, both in de developed and les developed countries? 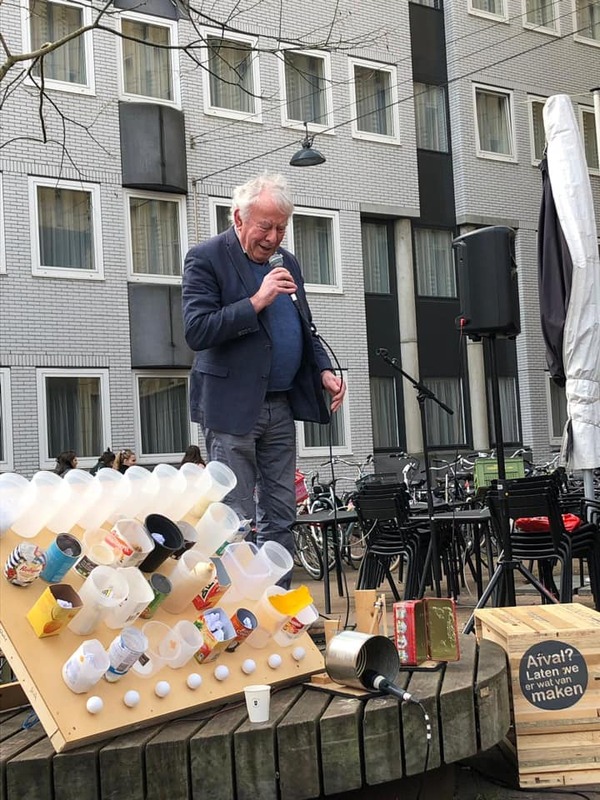 Ad Lansink, speaking at the start of the litter campaign in Arnhem, about the main lines of the waste hierarchy, and the relation with several aspects of raising awareness in society. Be aware of the transition to circular economy. Let also your friends and colleagues recognize your leadership or interest on this challenging transition process. Send us your contact details and the number of copies you want. We will provide you as soon as possible with the book after transferring €25 per copy, excluding shipping costs. In special cases, the shipping costs may be shared. Send us an e-mail at info@challengingchanges.org. If necessary, we send you additional information about money transfer and shipping costs. During 2019, we pay packaging and shipping costs in the Netherlands. Orders for the Netherlands can be placed directly by transferring €25,00 to NL14 INGB 0008 7068 76 for A G W J Lansink, citing also your delivery address. Paying by PayPal is also possible, via www.challengingchanges.org/payment. Generally spoken, outside the Netherlands, the shipping costs in 2019 (DHL or PostNL) range between €10,00 and €20,00. Because of the importance of sharing knowledge, we also share the shipping costs. So within Europe, books may be ordered for €25 + €5 = €30,00 per copy. 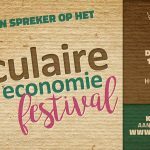 Outside Europe, the book prize will amount to €25 + €10 = €34,00. Moreover, students get a €5,00 discount. Orders can be placed directly by transferring €30.00 or €35,00 the above mentioned bank account or by PayPal. Ordering 2, 3 or 4 copies provides benefit. Then the price of each copy is €22,50, while the total shipping costs remain the same. E.g: for ordering in Europe the total costs of 4 copies amount to 4*22,50 + 1*20/2 = €100,00, so €25 for each copy. For a quick settlement of your order, we advise you to use PayPal or to send an e-mail to adlansink@me.com with your delivery address. Thereafter, you receive an invoice of PayPal. After payment by bank transfer or PayPal, the book will be sent immediately. You also may receive a tracking code. 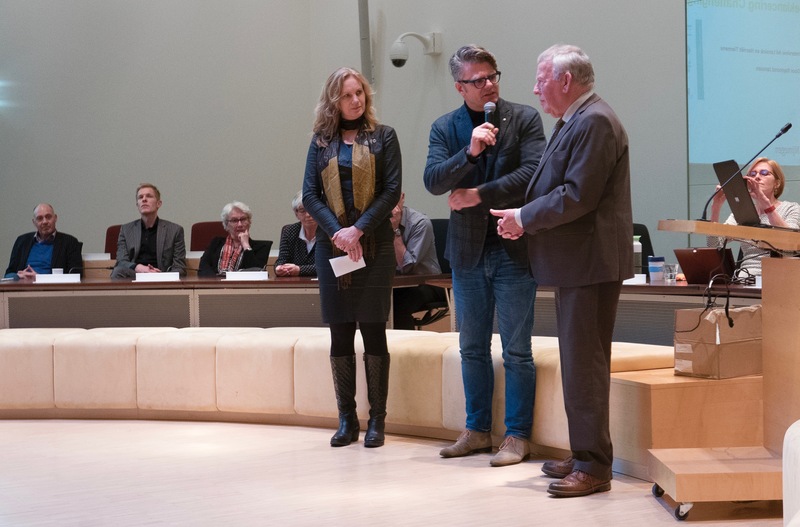 After the book launches in Brussels, the Dutch presentation of Challenging Changes took place on 18 December 2017 in the Council Hall of Nijmegen. As an introduction, Vera Dalm, director of Milieu Centraal, pointed out the meaning of knowledge transfer: ‘Let’s keep communication about waste simple’. With examples, such as the ban on plastic bags in stores, she showed that legislation can have a major impact. 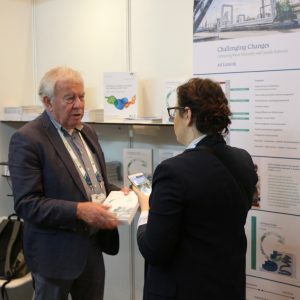 ‘And why do not we make coffee at stations for people who bring their own cups cheaper?’ According to NVRD chairman Han Noten, the waste sector has long been aware of the value of raw materials. ‘But making the transition from waste to raw material still takes a long way. It will work when we do. For that we need enthusiastic people with good ideas. And of course, organizations and legislation to scale up. In addition, we jointly have to look at the bigger picture. 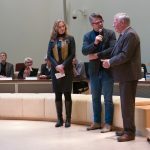 ‘ Between the keynotes, Harriët Tiemens, Alderman for Sustainability of the municipality of Nijmegen and author Ad Lansink, were interviewed by Raymond Janssen about the production of the book and the relationship with Nijmegen as Green Capital Europe 2018. During the discussion an interesting point arised, namely the question why important transitions as establishing a firm climate policy and changing minds for circular economy do not get broad support in society. Possibly, the answer lies in the acceptance of an appropriate level of risks. An absolute zero level is not achievable. 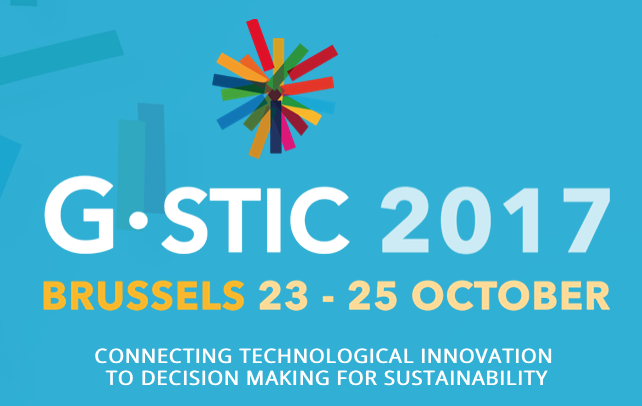 During the International G.STIC 2017 conference at Brussel (www.gstic.org), Ad Lansink presented his new book Challenging Changes – Connecting Waste Hierarchy and Circular Economy with the closing keynote of the plenary session on October 23th, the first day of the conference. In his presentation Ad Lansink considered the firm relation between the main lines of Challenging Changes and the UN Sustainable Development Goals (SDG’s). The presentation will become available on this site within a few days. The staff of VITO, the inspiring organizer of the G.STIC Conference, decided to present a copy of Challenging Changes to each of the participants of the sessions on circular economy. Ad Lansink had to sign almost all books, meanwhile speaking with the people, who were lucky to receive one of the available copies. So he met interested men and women from all over the world, both from rich and less developed countries. 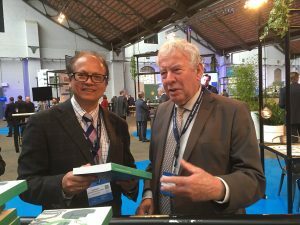 Ad Lansink also visited the exhibition Recycling 2017 in the Evenementenhal in Gorinchem (the Netherlands . 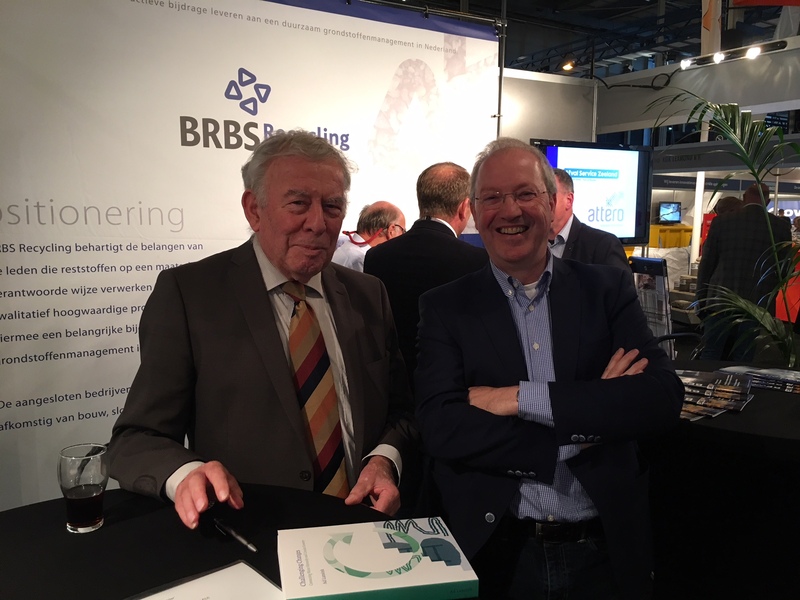 During the BRBS-FHG-symposium on Wednesday, oktober 25th (09.30 – 12.30) about the future of circular economy, moderator Simone van Trier interviewed Ad Lansink about Challenging Changes. After the symposium, he met visitors and guests of Recycling 2017, discussing the importance of reduce, reuse and recycling for the transition to circular economy. Both in Brussel and Gorinchem, many visitors were impressed by Challenging Changes. They appreciated the contents of the new book, but also the nice lay out. 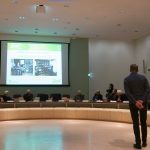 Already during the presentation at G.STIC it became clear, that Challenging Changes will inspire old and young people to proceed on the challenging road to circular economy. Two weeks after the publication already 1450 copies of the new book have been delivered. Challenging Changes – book is out right now! 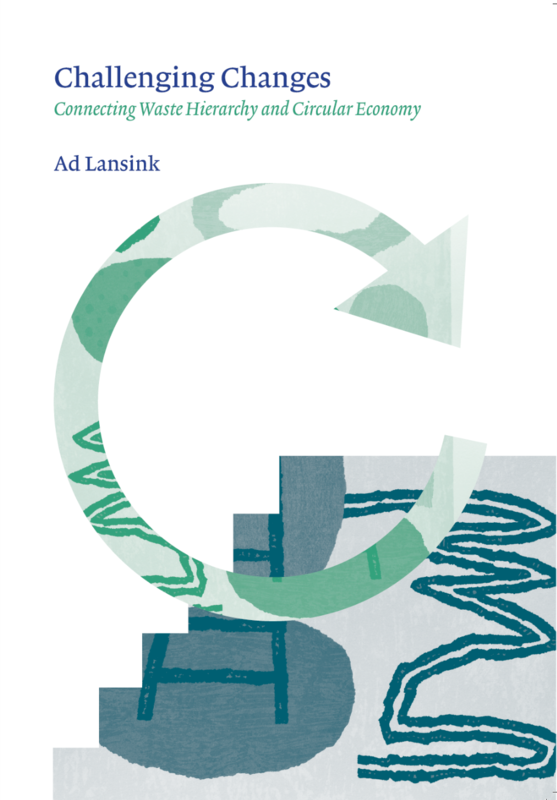 We are proud to announce that ‘Challenging Changes’, the new book by Ad Lansink, is out right now! A first impression of the lay out may be found on the website of book designer Sophie van Kempen. On Wednesday October 11th, the book was presented at the Permanent Representation of the Netherlands in Brussels. An interested and knowledgable audience got the opportunity to hear about te book from the author himself, who presented the book to Daniel Calleja Crespo, director generaal DG Environment of the European Commission and to Harriët Tiemens, vice mayor and aldermen of the city of Nijmegen, European Green Capital 2018. 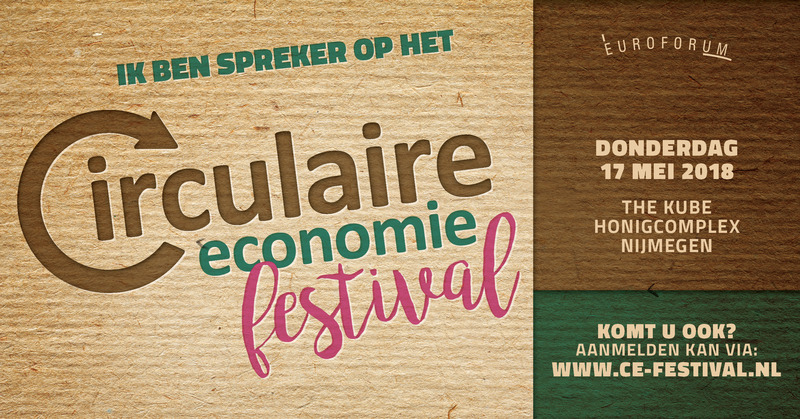 Did you miss the event and want to obtain copies of the book to enrich your knowledge about the circular economy and the waste hierachy? Send an e-mail to info@challengingchanges.org. DAR NV, involved in the project, released a press statement, which you can read by clicking this link (in Dutch). 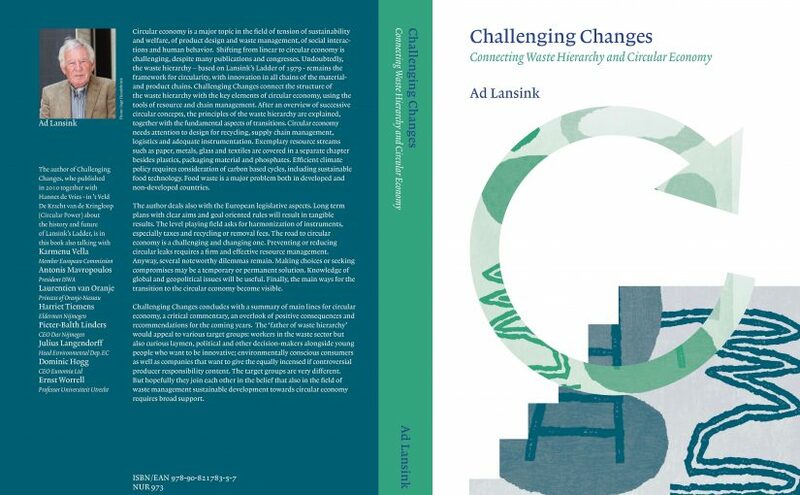 Challenging Changes, the new book of the well known Ad Lansink (“Lansink’s Ladder”) has been presented on October 11th, 2017 in Brussels. The author and the Editorial Board are proud that the Dutch Permanent Representation in Brussels was hosting this book presentation and the following panel discussion.